Guitar is a FUN instrument. Lessons should be fun, too. or learn theory and improvisation, I can help! 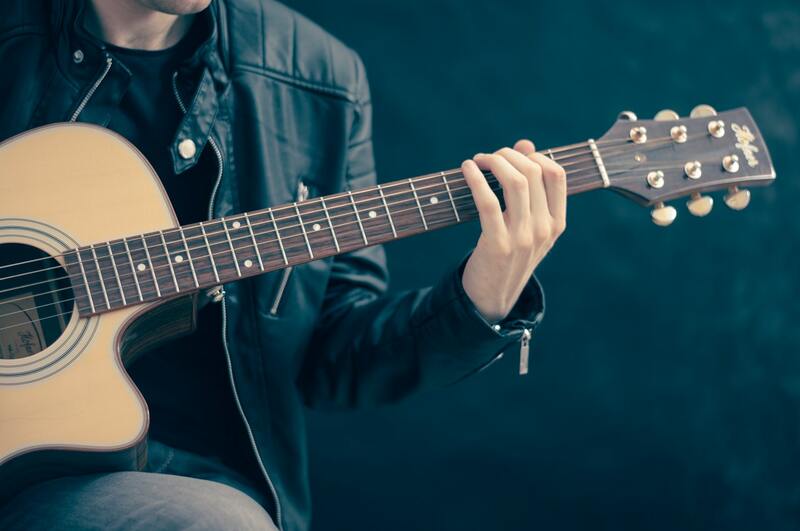 I teach both electric and acoustic guitar in rock and pop styles, with lessons customised for each student. In person or over Skype! I’ve been playing guitar for over 20 years, and teaching since 2009. My goal is to make learning the guitar FUN for my students, with a focus on learning to play songs. We also explore theory and improvisation in a relaxed setting. I teach and play rock/pop styles (which covers a lot!). I’m available to play gigs, both as part of a band or in an acoustic duo, and I can transcribe songs for you in a variety of formats. I was nervous about starting but you were welcoming, teaching music I liked but also opening my mind to other artists I may not have thought about. Great tutor, very patient and puts you at ease. Can’t recommend enough! This is great stuff… I’ve been after a decent tab of this song for years so I’m really happy to have this to play with. Get in touch with me if you’re interested in lessons, a song transcription, booking me or my bands for a gig or any other music enquiry!